...and into the Hoenn Region. I'm sure Johto only had 2 episodes. Anyway, new Region, new Pokemon, and new people. And a new plot. The Vision literally starts off with a bang, as there's an explosion caused by the new unnamed MC infiltrating what we later know to be the Team Magma hideout. His Sceptile is strong though, but then again it did fight a Golbat which aren't known to be that strong. But their pre-evolution (Zubat) is known to be very annoying in games. They're probably the main reason why Repels were invented. Sadly you can't get that item in Pokemon Go. So Team Magma make their debut as the new villains in the Hoenn Region with some strange outfits (like what's with the horns on their hoods? ), and they actually have a plan that they want to act upon. You could argue Team Rocket had a plan, but theirs was to just catch rare and powerful Pokemon, but considering what Team Magma wants to do, you'd rather have Team Rocket around snatching Pokemon than Team Magma. Yes, Team Magma isn't sitting around. Their leader (no idea what his name is) is setting out in the Team's submarine to get their plan into action. We don't really find out what it is because of the infiltration from the kid with his Sceptile, but you gotta admire how strong Grass types can be against other Pokemon types. Anyway, the Team Magma member who is told to stay behind and fight the guy with the Sceptile, she's Courtney. And turns out she's vital to the plot, because *spoilers* she has the Vision. This is of Primal Groudon, given the light that emits from its body (which I've seen from gameplay trailers (I haven't played Omega Ruby or Alpha Sapphire)), and seeing this lets us in on Team Magma's plan; they want to awaken Primal Groudon for something. My guess is, since Groudon is a Legendary Pokemon that has the ability to expand continents (thank you Bulbapedia) they want Groudon to create a new world. But as the Vision shows, this won't exactly happen, and Team Magma don't get off lightly after awakening Primal Groudon. You deserve it if you think you can use a powerful Pokemon to do your bidding. The Vision ends with Courtney starting a battle with the guy with the Sceptile. 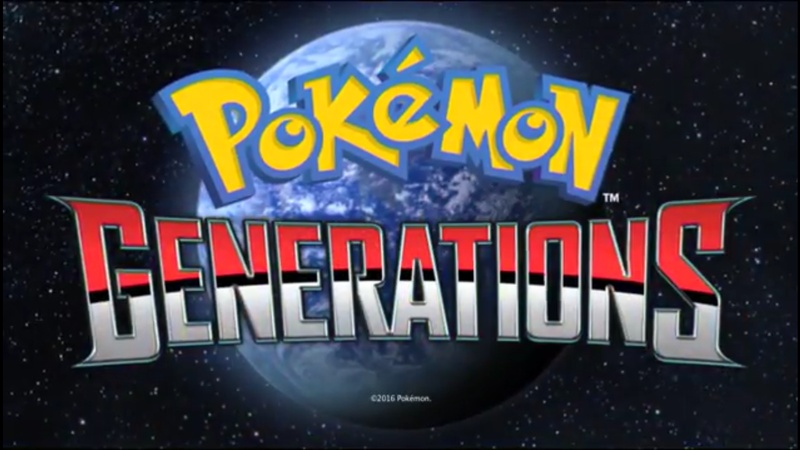 From seeing this, it looks like things are taking a darker turn as we visit new Regions, starting with the Johto Region and how Entei, Suicune and Raikou became Legendaries back in Episode 6. I'd say I hope to see which Pokemon shows up next, but I've already seen Episode 8. 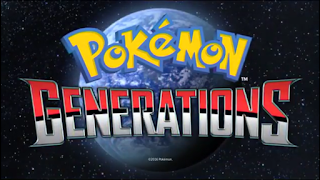 I didn't watch this episode when it released last week because I was busy all weekend as you probably saw from my Tweets, but hey you get two Pokemon Generations reviews this week! Lucky you! I will say that things don't get any lighter and cheery in the next episode, which just goes to show that the Pokemon universe isn't all sunshine and rainbows. It is a good episode for those of you who haven't yet seen it.